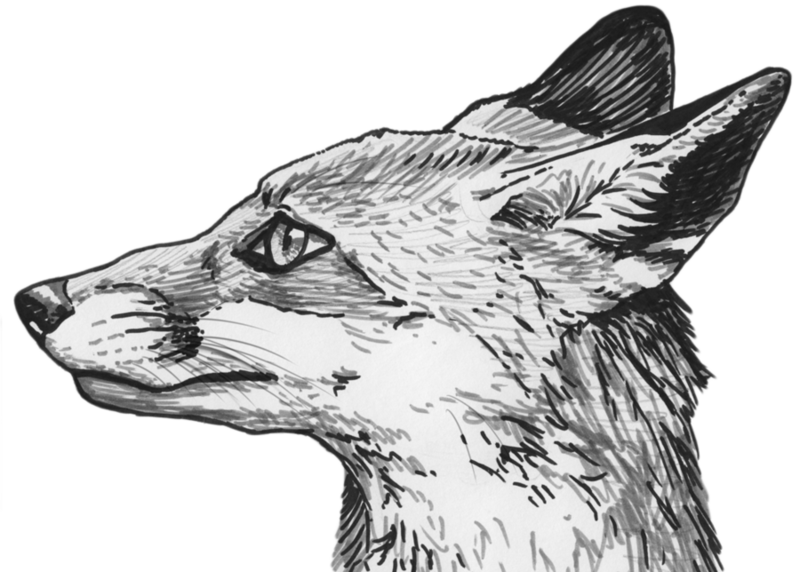 This is a red fox profile sketch that I made. I think his eyes are a bit too big, but, he is a sketch after all. The materials used are Faber-Castell PITT artist pens. In this case I only used a lighter grey and a really dark grey (almost black). Before I use the pens I do a light sketch with graphite pencil. Perhaps I’ll make sure to scan the process I take in future post. I love it! It’s so awesome. And the fact that you have the same background as your blog really makes it POP!